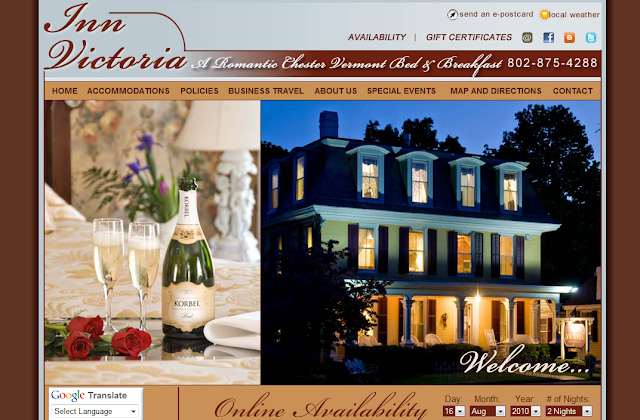 Dan and Penny Cote, the new owners/innkeepers of Inn Victoria, worked with us in stages. We started with moving the old web site over to Acorn IS hosting, then built up with Social Media and Search Engine Optimization, all the while moving forward with a new site design. Dan and Penny were learning how to be successful innkeepers while at the same time working with Acorn IS to make their web presence more robust. “The words “thank You” simply do not portray how Penny and I feel about this new site and most important, the people from Acorn who made it happen. Your team is professional in their ability to get the technical side done appropriately. Most important, your team made it easy for us to communicate and work through the process. Your team has customer service down pat, with gracious character and patience at that! Thank you Acorn Team for making this process less daunting, more fun and customer friendly than I could have imagined. In my previous life as an executive with an insurance company, web development was a nightmare…not so in this case. Thank You Mark for making our transition from the previous web development company to Acorn an apparent seamless success! I know you had a lot of work just to get this site transferred over…Thank You. Penny and I are very happy with the partnership we have developed with Acorn and consider ourselves blessed to have done so! take care, and I do look forward to our continued partnership….. be patient with me, I have a steep learning curve ahead of me. Dan and Penny, we look forward to working with you in the future! This entry was posted in designs, hosting, kudos by admin. Bookmark the permalink.